Cause the woman I’m loving, is just a ghost in my bed. Publishing: Saint & Sinner Publishing – BMI“It Might Be the Whiskey,” a new original song from unapologetically country singer Dennis Ledbetter, explores the pain of knowing you screwed up a perfectly great relationship—and now there’s no going back and fixing it. It’s too late, the fiddle wails, and there’s no one to blame but yourself. It may be the whiskey consumed in an attempt to numb the pain. It may be depression on the brink of self-induced insanity. Whatever the vehicle, this guy has found his way to the bottom and he can’t find a way to stand up and start over. 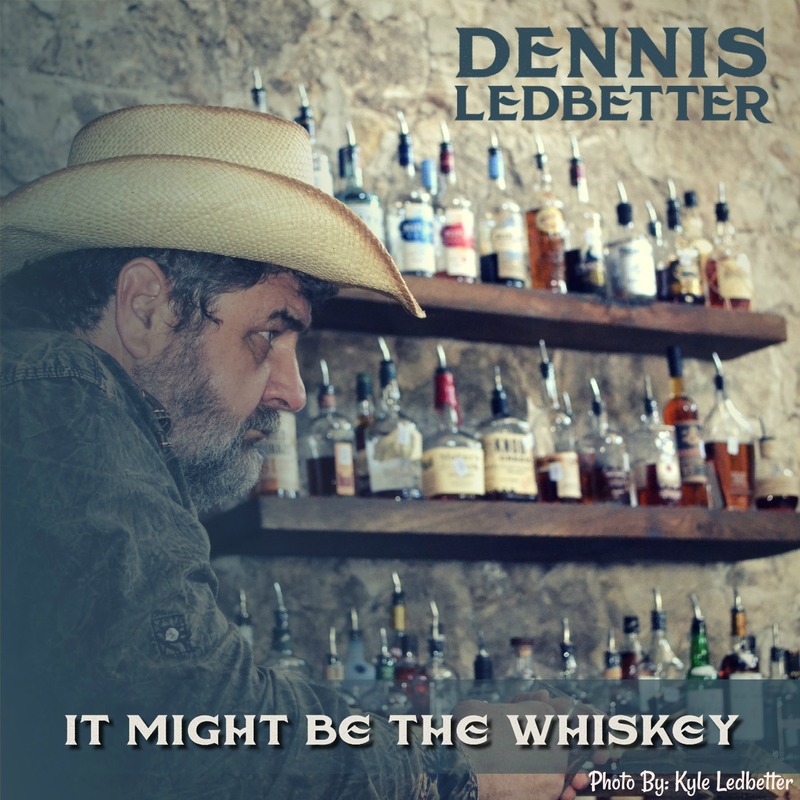 Dennis Ledbetter possesses the heartbreak-inflected, George Jones-tinged country vocal to tell this “three chords and the truth” song. If you prefer heartache to happiness in your country music, this song is for you. There’s something undeniably satisfying about a cryin’ in your beer country shuffle that sports twin fiddles and a no-frills lead guitar laying down the heartbreak beat. Dennis Ledbetter’s vocal quality and delivery bring Hank, Jr. to mind on this song about a country picker who has sacrificed too much in his personal life for his music. JD (Jack Daniels) is the singer’s whiskey, not his name, is the conversation starter with the pretty lady three stools down the bar at some old club on Lower Broad in Nashville. If you like your country music to sound like country music, you’ll find that co-writers Ledbetter and Chris Bellamy have hit the nail on the head with this clever original. That’s my whiskey not my name. JD’s my whiskey not my name. When pedal steels and fiddles ruled the day. Now it’s me and ole JD headed down a lost highway. Kicking off 2019 with a BANG! 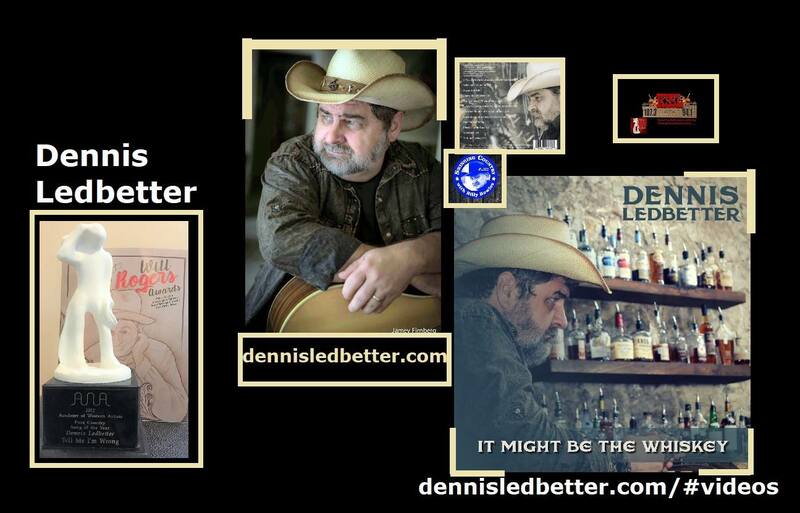 Dennis received multiple nominations for the Academy of Western Artists (AWA) Awards and is a TOP 5 FINALIST for Pure Country Song of the Year due to the classic style and unapologetically country sound of JD’s My Whiskey (Not My Name). Busting out of the gate with the first release from the Newly recorded EP (It Might Be The Whiskey). Winners will be announced on March 14 at the Annual 2018 Academy of Western Artists Awards banquet. Dennis is a 2017 AWA Award winner and hopes to be recognized again with the honor of being a back to back Pure Country Song of the year winner. 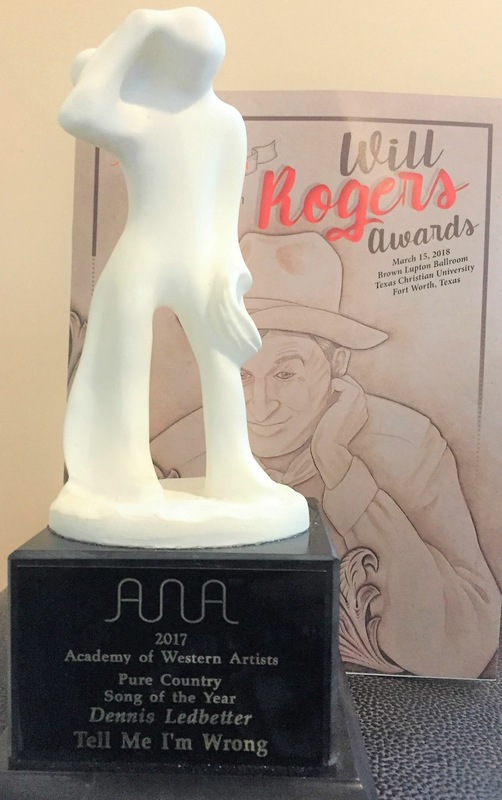 Ledbetter took home the AWA award for Pure Country Song of the Year in 2017 for “Tell Me I’m Wrong” co-written by Chris Bellamy. Dennis has expressed his humble and sincere gratitude to the amazing number of spins by disc jockeys everywhere and to the tremendous fans worldwide who continue to support and enjoy his music and entertainment. Dennis’ songs continue to spin their way around the air waves and up the charts and Dennis attributes these accomplishments 100% to the support of DJ’s and Fans alike. 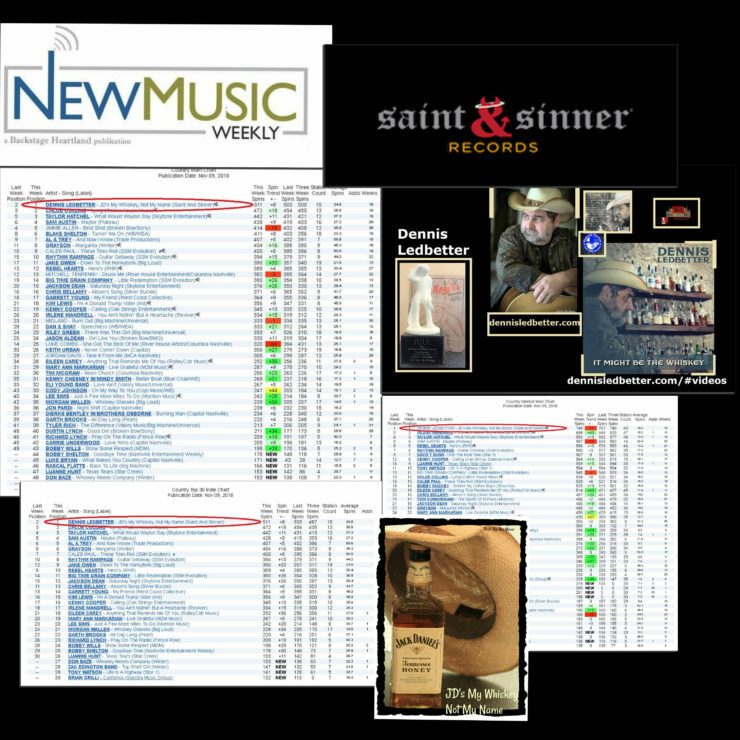 Saint and Sinner Records has also brought a truly innovative way to entertain Ledbetter’s fans through animated music videos. The videos were produced by Larry Simpson. The FIRST & ONLY of its kind! A truly Ground Breaking form of Entertainment in the Country Music Industry. To date 3 can be watched on the Animated Video Music Outlet on YouTube. 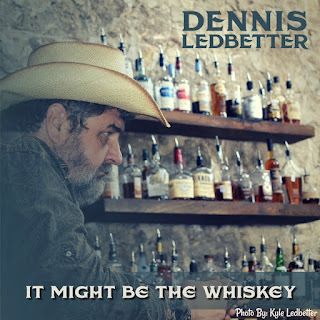 Dennis is having a slew of success with his new 4 song EP “It Might Be The Whiskey” album and has high hopes of reaching #1 on the charts with each one’s release. You can read about and follow the AWA at the links below. Also, be sure you are following Dennis Ledbetter and his Unapologetically Country Music on Facebook, Twitter and the Social Verse! I am truly honored to be nominated by the Academy of Western Artists’ in multiple categories. Pure Country 2018 Male. Pure Country 2018 Album for EP “It Might Be the Whiskey”. Pure Country 2018 Song for “It Might Be the Whiskey”, “JD’s My Whiskey Not My Name”, I’ll Let the Bottle Kill Me (Before Your Memory Does)”, and “That Ain’t Country”. Thank you AWA, DJs, and fans. Pure country music is not dead. You are just listening to the wrong radio stations. A new animated music video to accommodate his new original song from unapologetically country singer, Dennis Ledbetter exploring the pain of knowing you screwed up a perfectly great relationship—and now there’s no going back and fixing it. Thanks to all the DJs playing the song and fans for requesting it.